The Burger Court is often described as a 'transitional' court between the Warren Court and the Rehnquist and Roberts Courts, a court where little of importance happened. But as this 'landmark new book' (The Christian Science Monitor) shows, the Burger Court veered well to the right in such areas as criminal law, race, and corporate power. 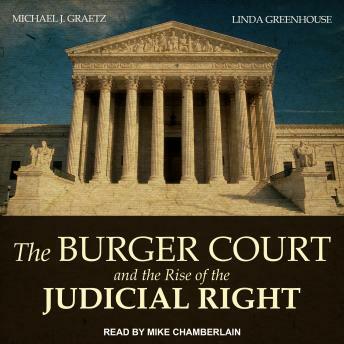 Authors Michael J. Graetz and Linda Greenhouse excavate the roots of the most significant Burger Court decisions and in 'elegant, illuminating arguments' (The Washington Post) show how their legacy affects us today.